Yeah, looks quite edgy but overall pretty boring. Not gonna persuade many people to buy it from that. But the german manufacturer, Audi, have upped their game when it comes to advertising campaigns. 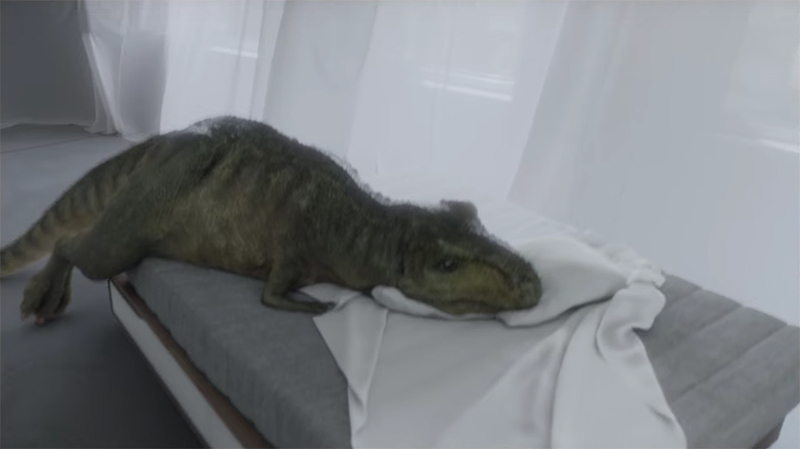 In one of their latest video ads, called 'The Comeback,' they have a talking, Irish T-Rex reflecting on life with its famous short arms. In the video, the Rex reminisces about times where he was feared by people, a time where they would run from him in fear. But when a video of him trying to make his bed goes viral, he becomes a laughing stock and is no longer feared. He then spirals into depression and no longer wants to leave the house. He is worried everyone is going to laugh at him; he has lost the "lust for life he once had." Various scenarios play out where longer arms would be advantageous: defending a free kick in football, trying to flip a pancake and weight-lifting etc. Bravo, Audi. Advertising done right.